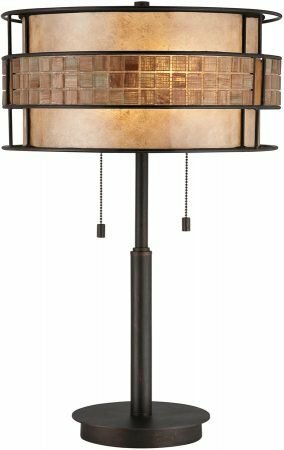 The Laguna Art Deco style 2 light table lamp in copper finish, a superb quality Renaissance style light, supplied by Elstead Lighting and designed by Quoizel. 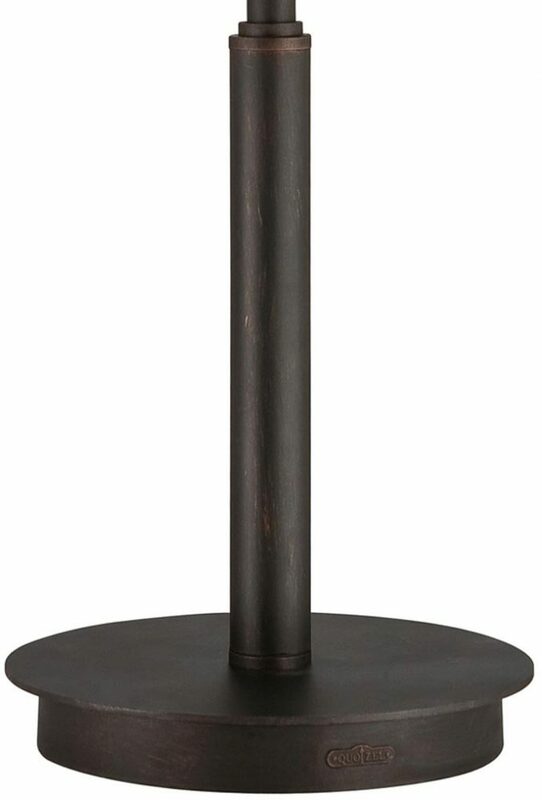 The Laguna Art Deco styled table lamp has a circular classic brushed black and copper base and stepped tubular stem. 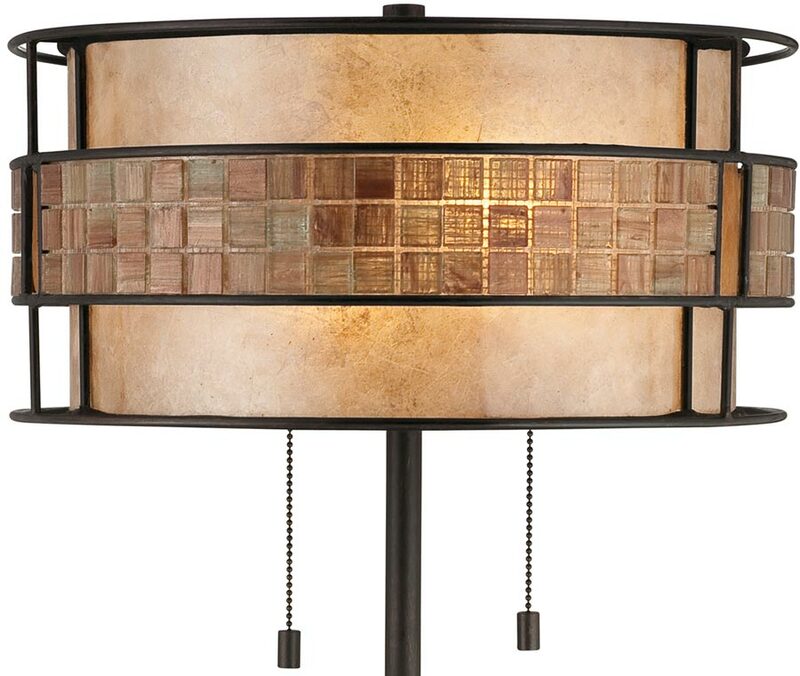 The two lamps are housed in a central taupe mica shade encased in a wire frame, surrounded by a band of shimmering copper mosaic tiles. Fitted with two pull chain switches so that you can have one or both lamps lit depending on your mood. An Art Deco style table lamp featuring shimmering copper mosaic tiles. Choosing a light to complement the Art Deco themed room couldn’t be easier than this. The understated Art Deco style provides a soft yet stylish look for almost any room and provides warm and inviting accent lighting. An unusual and stylish table lamp for any Art Deco themed room. The width of the shade is 406mm. The total height including the shade is 635mm.